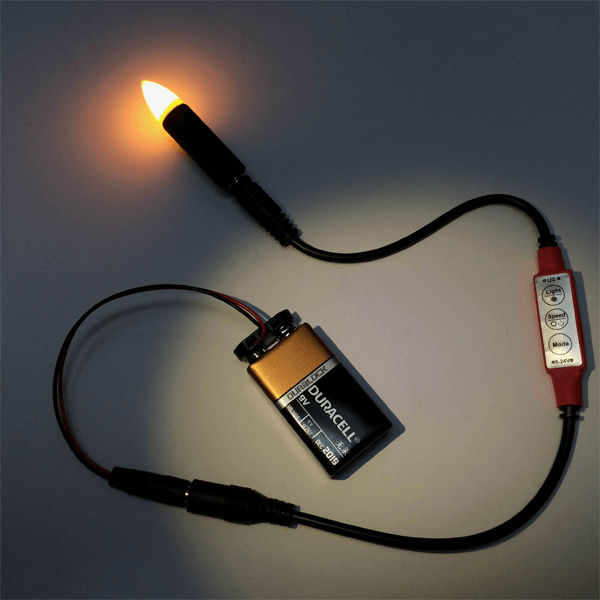 The MEL-BL (Micro Effects Light, Blacklight) that operates from a 9V battery with included battery clip that has a DC barrel connector plug that attaches to the light body. 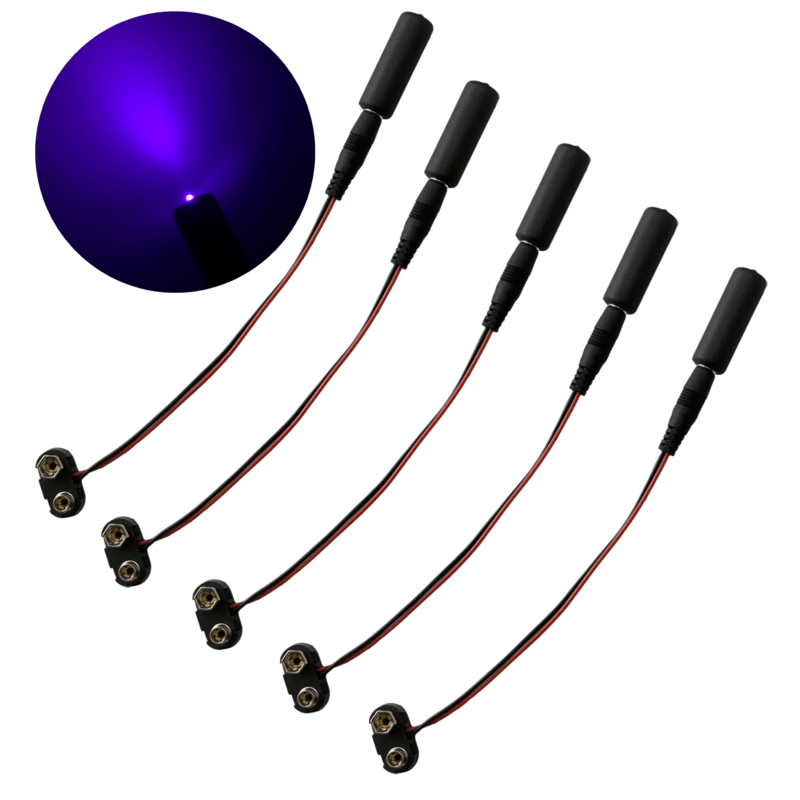 These micro effects lights use a 405mm high output violet LED with a narrow spotlight pattern. These lights provide for a strong glow of ultraviolet fluorescent paints in dark settings. 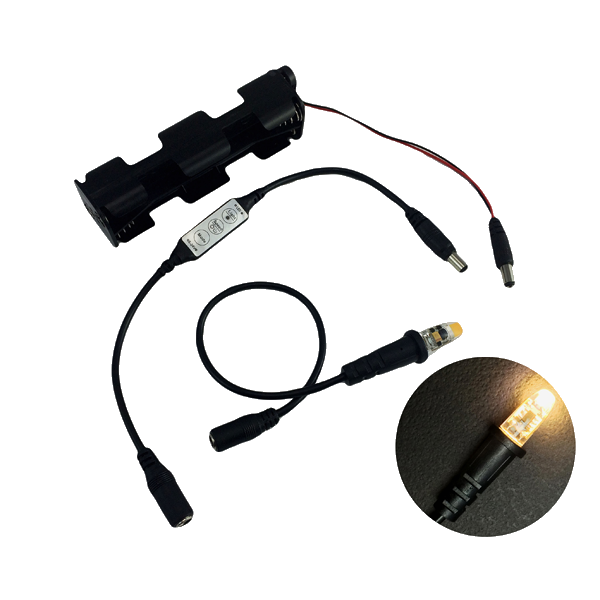 This kit contains 5 pcs of the MEL-BL blacklight and 5 pcs of the the BCC1-9V 9 volt battery clips. The MEL-BL (Micro Effects Light, Blacklight) is a 405nm (nm = nanometer, wavelength) visible spectrum “blacklight” used to stimulate fluorescent materials. The 405nm light can be described as short wave length violet/blue light within the eye’s visible range of 380nm to 780nm. This visible range is called the photopic curve. The eye’s diminishing ability to respond to short wavelength light as compared to longer visible wavelength puts the 405nm light into the “blacklight” category, having a large amount of energy the eye responds poorly to. The truly ultraviolet black light sources are those under 380nm such as the classical fluorescent 365nm blacklight bulbs. These 365nm sources are called UV-A (or ultraviolet region A) long wavelength UV sources. The biggest difference in true UV-A long ultraviolet wavelength sources and a short wavelength violet / blue 405nm LED are that these sub 380nm sources have the majority of their energy outside of the visible range, while the 405nm “blacklight” is just within the visible range at the shorter violet / blue wavelengths. The cut off of the eye’s response to short visible violet / blue wavelengths varies from individual to individual. The eye has gradual reduction in visual response as the wavelength becomes shorter, eventually merging into the true UV ultraviolet A region that is below 380nm. The MEL-BL works well with various fluorescent paints, fluorescent pigments, and fluorescent dyes. Because the MEL-BL is within the lower region of the visible violet / blue spectrum, there will be some mixing of the low level visible violet / blue light with the light of the fluorescing material. 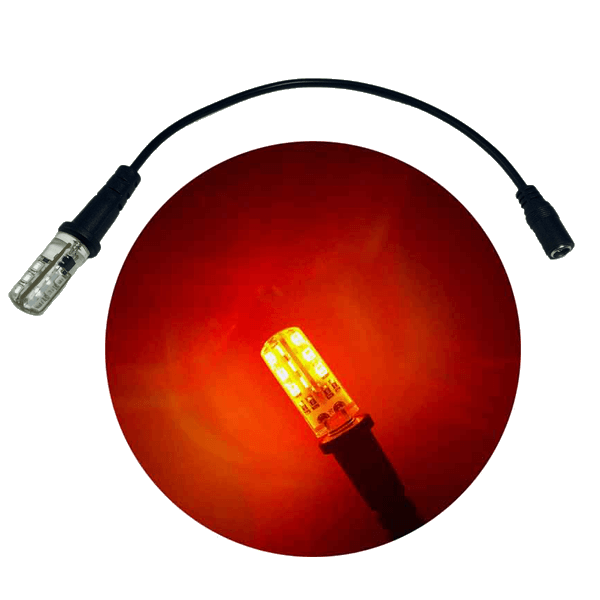 The MEL-BL’s 405nm light emission is a very clean emission with no detectable “white glow” which can often be seen in 365nm UV-A LEDs. The clean emission, without a visible “white glow”, enhances the contrast of the fluorescent material against its background which helps eliminate washout. The principal behind fluorescent materials is called Stokes Shift; the lengthening of wavelengths. The simple description of Stokes shift is the short wavelength light falling onto a fluorescent material undergoes a wavelength lengthening and returns off the object to the viewer as a longer wavelength. This may be in a region such as the green orange, or red; all which are longer wavelengths of light than the 405nm violet / blue light. Various fluorescent materials have various emission wavelengths therefore different colors. How well a given material responds to 405nm is governed by many factors and often a process of trial and error is needed to achieve a given appearance. 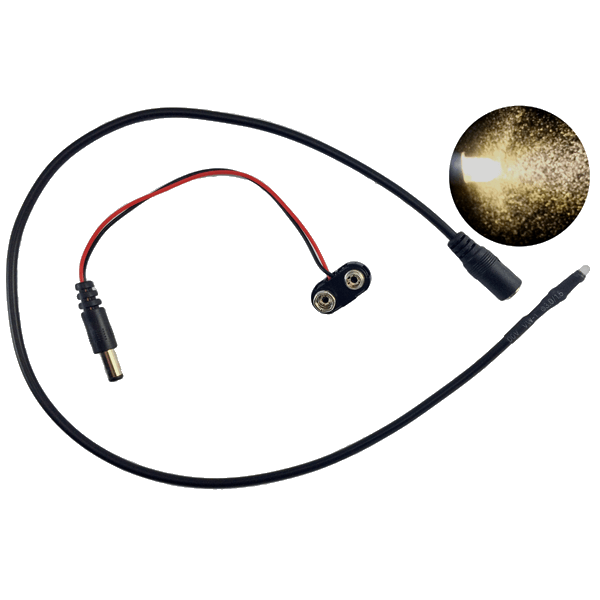 The use of LEDs allows for miniaturization of backlights and simple small battery portable lights for props, costumes, and other special effects lighting applications. The MEL-BL blacklights may also be combined into larger arrays. 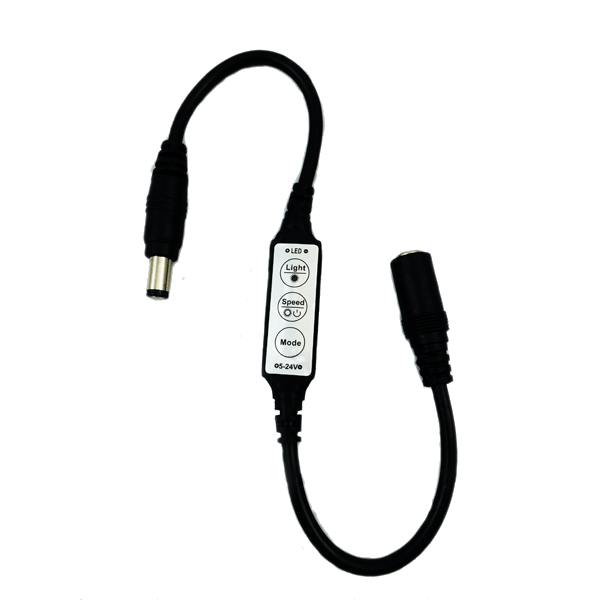 The MEL-BL (Micro Effects light) Black Light uses a 3mm 1/8 diameter LED with a narrow focus light beam. 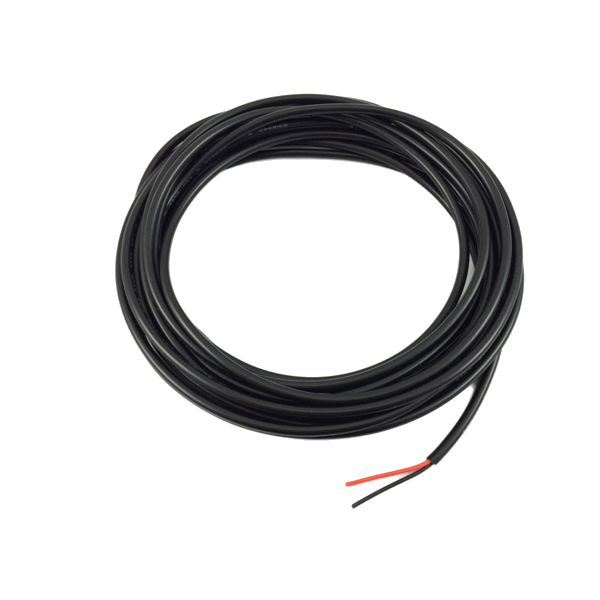 The MEL 405nm light operates from 9 volts DC or 12 volts DC. Operating at 9V provides better longevity while operating at 12V provides some boost in light output. 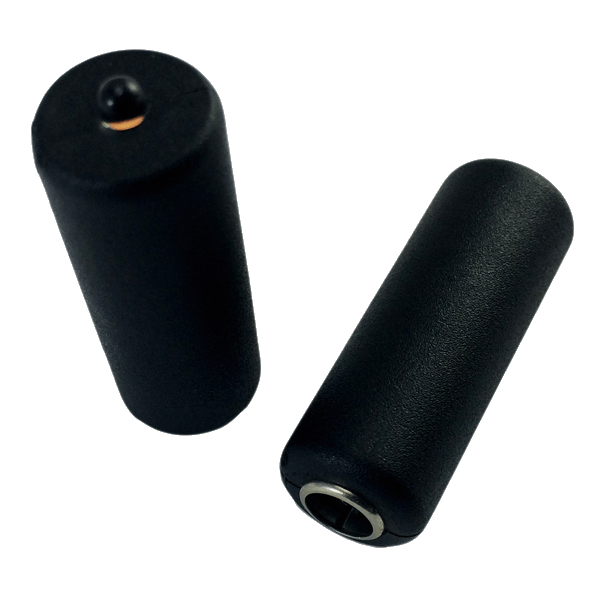 When operating the MEL-BL from a new alkaline 9V battery operating time is expected to be greater than 24 hours. 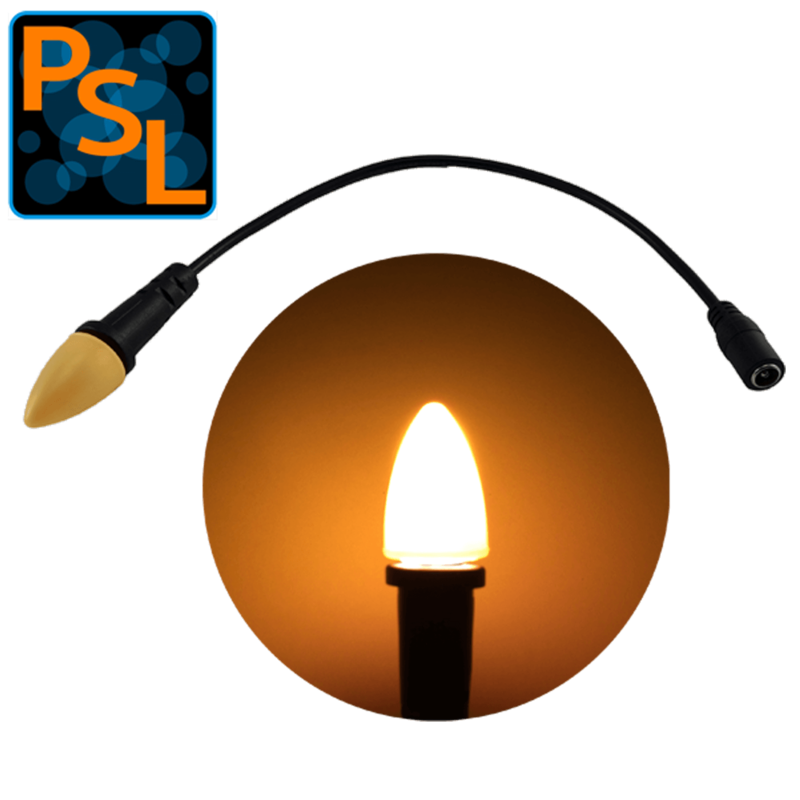 Although the MEL-BL is not a true UV-A source precautions need to be taken to not look directly at the LED as the beam pattern is narrow and intense. 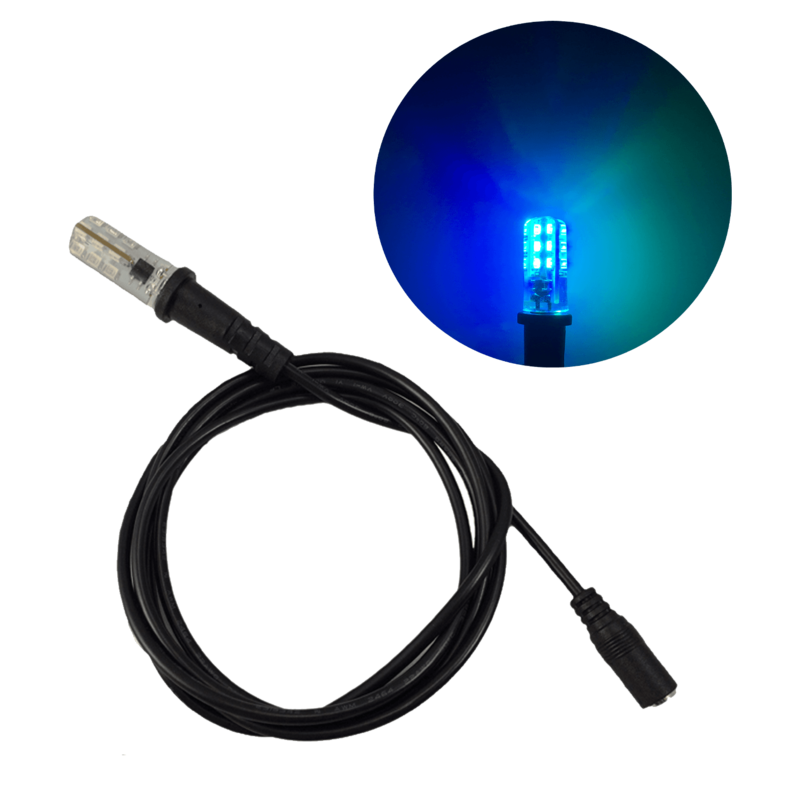 The precautions that apply to blue light hazards should be observed which precludes looking directly at the light source for any extended amount of time.